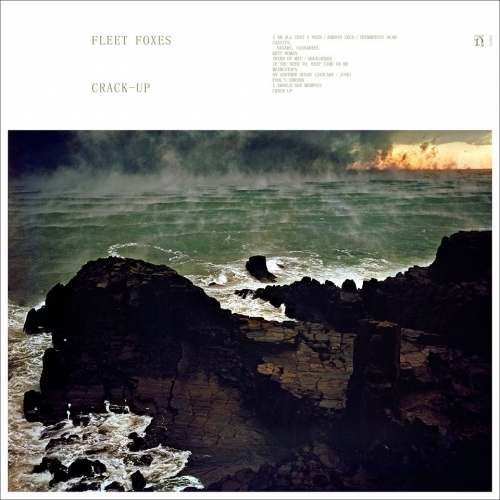 Much has been said of Fleet Foxes’s Crack-Up. Critics have praised the album for its atypical complexity, and attacked it for its cryptic yet shallow themes. It seems to be a musical Rorschach, with everyone hearing something different, formulating their own distinct opinions. Having revisited the album several times, and attended the group’s recent show at The Anthem in Washington, DC, I must admit I’m still on the fence about the abrupt turn the group has taken after their 6-year hiatus. Progressive folk is no foreign entity, and yet there is something so utterly novel about Crack-Up. Perhaps it is the context, or the lack thereof. Try as I might -- and I really did try -- the album remains ambivalent to me, unsure of its stake in the world. Experimental, sure. But inconclusive. And maybe that’s the point. Maybe Robin Pecknold, the band’s leader and the album’s co-producer, intended Crack-Up to be a declaration of hesitancy. Amidst waves of breathy harmonies, wandering piano, and subversive key changes, I’ll let you decide. What I can report on is the band’s earnest presence on stage during their recent show on May 18th. 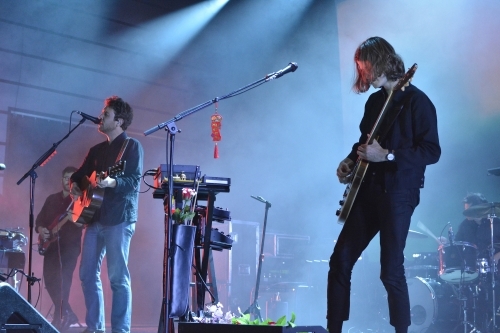 After a dreamy guitar-heavy opening set from Amen Dunes, Fleet Foxes’s six members joined the crowd. Playing a variety of songs off the new album, the performance felt akin to a high-energy jazz show. Pop-centric ballads seamlessly blended into instrumentals, forming a neo-psychedelic haze. While there was regrettably little interaction between the performers and their audience, they stayed true to Crack-Up in all its experimental splendor. The multi-instrumentalist Morgan Henderson switched from tambourines to shakers to a tuba to an upright bass. Technicians handed off acoustic, electric, and hollow-body guitars to Pecknold in the blink of an eye. The group’s focus was narrow and razor sharp. Although, the venue truly skyrocketed with energy in response to the group’s older hits, “White Winter Hymnal” being an obvious crowd-pleaser. Screaming fans rang out as the song, now almost a decade old, filled the space. Despite the practiced musicianship and ostensibly post-rock ingenuity of Crack-Up, there’s certainly something to be said for the familiar and recognizable.